We used to go up the Regent Ballroom every Thursday Night for their ‘Off-the-Record’ show. The entrance fee used to cost 2/6d in old money. 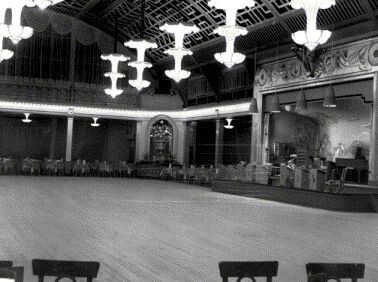 I recall that as the Canadian maple sprung dance floor was so highly sprung, records could not be played from the stage at that time, and had to be played from the control box/lighting room overlooking the dance-floor. One of the first DJs was a guy called Keith Samuels, who seemed to like spending most of his time in the bar, whilst the sound man just played the records. After that, a guy called Barry Kingston was the DJ there for many years. When he started I recall he was very young, about sixteen I think. He was really good, knew his stuff, and always managed to get the latest sounds to play, and was dedicated to his job. He used to spend hours decorating the stage so I was told, with LP sleeves and boards. Barry Kingston was certainly full of himself. There even used to be a full life-sized cut-out photograph of him on hardboard in the foyer. He was a smooth talker and very good looking, so most of the girls used to say. He would always try to play requests and played a very varied selection of records, including his ‘Old Record Parade’ and ‘Smooch Time Tunes’. They were great times and never to be forgotten.